Mr Recycled gave me a bag of business shirts he no longer wears; "any good for your sewing projects? ", he asks. A year or so ago, I would have jumped all over that idea, giving my sewing machine a refashion project workout. With a small baby to raise, school chores to attend to, and articles to write, no sewing takes place in this house right now, so instead Salvos Stores have acquired a bunch of business shirts for resale. Fast forward, or perhaps back a few years, when I will be / was sewing with the best of the them, the first stop would be the WWW, sourcing upcycle inspiration from the likes of pinterest, cut out + keep and similar. Men's business shirts are often made using quality fabric (often 100% cotton) which makes up for the lack of interesting pattern or colour found in most shirts. This was a project I completed following Extra Petite's DIY tutorial. Sleeves were removed, and armholes closed using bias strips made using the fabric taken from a removed arm sleeve. Darts were added for a better fit, and a I made a removable neck-tie using the other removed arm sleeve. Project details here. Cute coin purses made using the cuffs of old business shirts. These would be great to make using arm leftovers from another business shirt refashion. See more here and here. 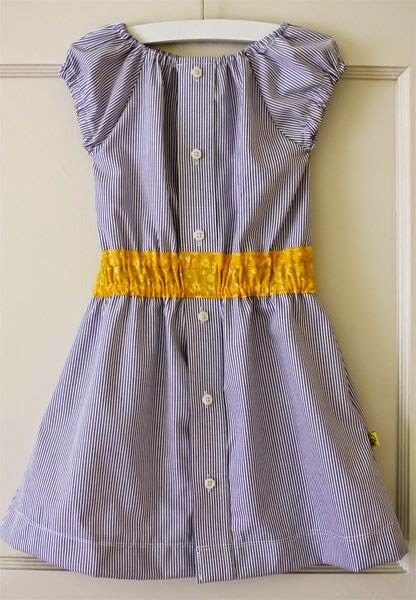 I adore this gorgeous child's dress, made using an old business shirt with an added yellow fabric waistband. See the full project and more stunning photos here. I just love this one hour shirt dress project by Cintia over on MyPoppet (who is by the way, currently sharing a Thrifty Kid sewing series that you really need to follow). Cintia took one of her own dress shirts, cut away each sleeve and a section from the bottom, and stitched in the bottom half of a dress she no longer wears. 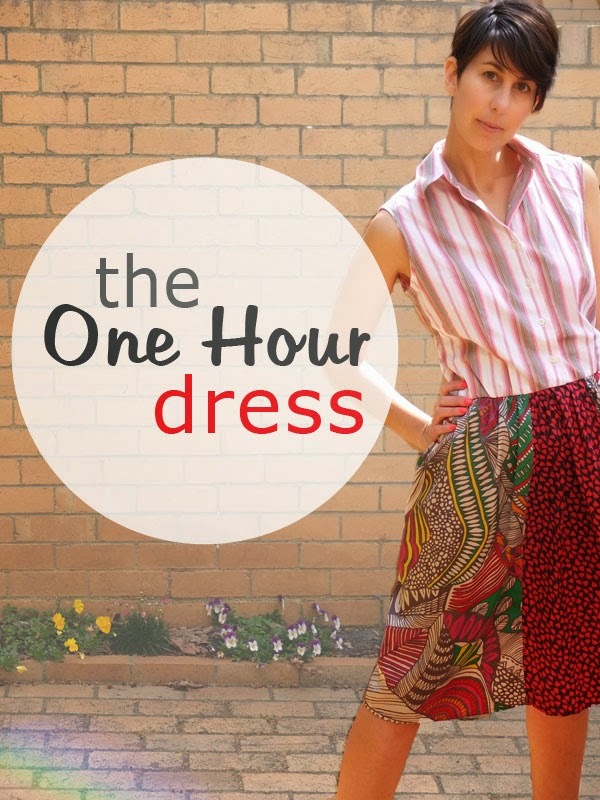 In just one hour, Cintia made herself a chic summer dress to wear. Imagine the possibilities using other combinations following the same technique. See Cintia's how-to here. 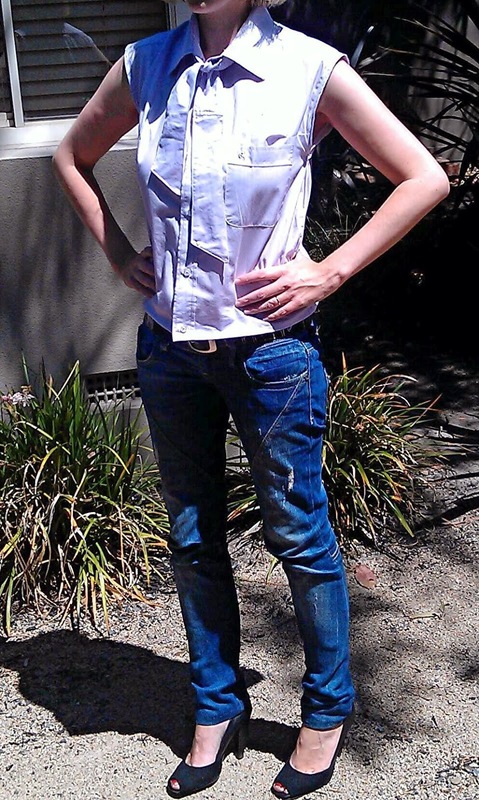 Readers, if you have any business shirt refashion favourites, whether they be your own projects or others, feel free to leave a comment below with a link. You know little ole me with little sewing skill could probably do some of these. I'm totally useless with a sewing machine but a simple refashion project would be good for me I think. Wonderful creations! The cuff purse is cute. I do hope fanny packs come back cause I can't find one lol! Some years ago I ordered japanese /sewing / recycling books, great ideas! From mens shirts were the best then! I really like the idea of cuff purses! Thanks for sharing these ideas.